Today Milestone released the anniversary announce MotoGP series trailer . This year will be released the 5th part of the popular circuit bikes racing simulator. MotoGP 13 will fully comply with the championship 2012/2013 and allow to get the victory, both at local and large-scale and world championships by yourself. Every year the game simulator is constantly moving toward, more closer to full authenticity, both graphically and in terms of physical realism. 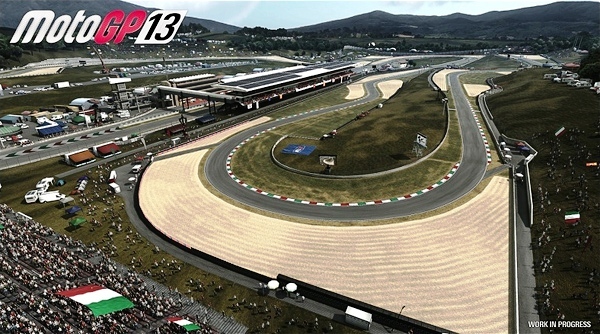 The MotoGP 13 release planned for June 2013, after a break in the most important game’s exhibitions. Detailed information about MotoGP 13, you can learn from our further news and reviews.